I really don't know alot about this mall, but I remember driving right in front of the mall as a little kid and seeing into one of the hallways, stores such as A Dollar, CVS, and others. Anchors were as follows.. Montgomery Ward, Jo Ann Fabrics, Kids R Us, a stand alone BJ's Wholsale Club, Lechmere, and a Cine 10. The mall is now totally gone exept for Staples, Davids Bridal, the old Lechmere building, Cine 10, and BJ's. The rest of the property was transformed into a new shopping center with a Target, JO ANN etc, Marshalls, Linens and Things, Petco, Charter One Bank, Eddie Bauer Outlet, Thomasville Home Furnishings, Dress Barn, EB Games and Supercuts. 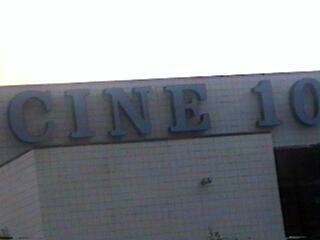 In the fall of 2004, crews removed the signs off of the Cine 10 and Lechmere buildings, but they are still vacant. Another interesting fact about the mall is the property's sign, which is pictured above. 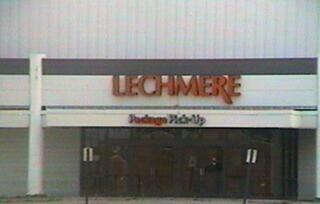 Many visitors think the Lechmere and Cine 10 are still open. Much to thier surprise, they aren't. The reason the old sign is still present, is because of disputes that the property's owners have had with the Colonie Planning Board. As a result of that, the planning board will not let the owners put up a new sign. Therefore, the new plaza remains "signless". With the removal of the Cine 10 and Lechmere signs off the buildings, this may change soon. This info provided by northway mall Target employee, TJ Grasso. This mall was actually part of a shopping mall center. 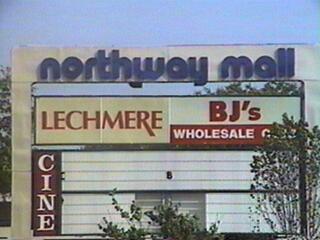 Located RIGHT across the street from Colonie Center, the Northway Mall complex also included a Hoyts-owned 10-screen movie theatre which up until Summer 2000 played second-run movies for $2 a seat, and a stand-alone Lechmere store next to the theatre. 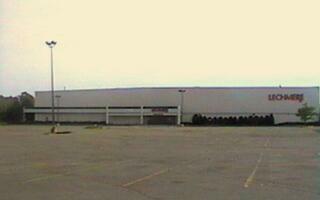 BJ's Wholesale club moved in about 1994 to their own building further back in the complex. "I think it was theater 8 we called 'the lake'"
referring to the ceilings that leaked in the building. 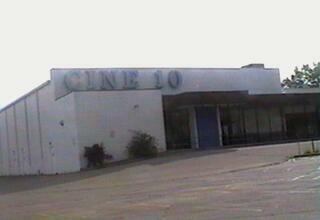 Below are pictures of the vacant Cine 10 and Lechmere store, still standing. Pictures taken May 31, 2001. Here is an interesting Terra-Server picture (courtesy microsoft and the US Geological Survey) of the mall in 1995. Located closest to Rte 5 (running top middle down to right middle), it has since been converted into a big box center with a Target and Jo Anne's Fabrics. The only remaining part of the original mall is the Davidson's Bridal Store that I am aware of. Pete may have more info. 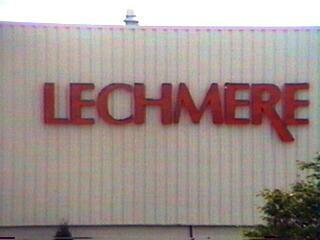 The movie theatre is the small building on the upper part of the parkinglot, and the Lechmere building is below that. BJ's Wholesale club is on the left-most corner of the parcel. 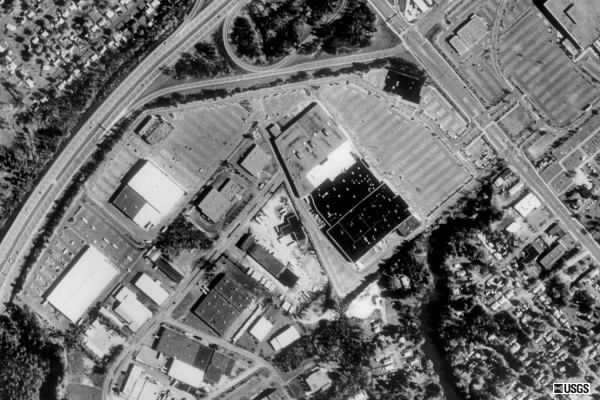 Northway mall from a satellite in space - the only remaining piece of the old mall is the sign. Zoom back to see the new complex.